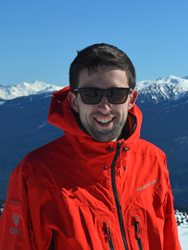 Dare is a Masters student in the Department of Geography, University of Victoria, British Columbia. He earned his Bachelor of Science in Environment Management and Toxicology at Federal University of Agriculture, Abeokuta, Nigeria in 2015. During his undergraduate program, he had an internship at the Lagos State Environmental Protection Agency (LASEPA) where he worked concurrently with the pollution control department and the laboratory services department. After graduation, he worked for a year at the Niger State Environmental Protection Agency as an Environmental Officer. His passion for community and environmental health and sustainability was born out of his experiences working with these Environmental Protection Agencies in a developing nation. His current research under the supervision of Dr. Jutta Gutberlet seeks to map waste governance in relation to the informal recycling sector, with the aim of empowering marginalized individuals who contribute immensely to environmental sustainability through waste recovery. As waste generation continues to increase globally, its management has become problematic. Through waste recovery, the informal recycling sector has contributed significantly to reducing landfill jam and carbon footprints. However, individuals in this sector are generally marginalized, impoverished, and are mostly excluded from the formal waste management system — and Canada is not an exception. Using a comparative case study approach and mixed method, this study examines waste governance in two Canadian cities with the aim of identifying how through policymaking, political actors affect waste recovery and the level of inclusiveness in the waste management system. The study will investigate the role of grassroots social innovations in improving the livelihoods of these individuals. Results from this research will help inform authorities, policy makers and practitioners on the need for an inclusive waste management system and will provide strategies for improving the livelihoods of this sector while promoting sustainability in the city. The Elizabeth Henry Scholarship is an annual award of $2,000 to a graduate student whose proposed research is based in British Columbia. Learn more about the Elizabeth Henry Scholarship, eligibility criteria and application process. Check back soon or subscribe to Elizabeth Henry Scholarship mailing list to learn about the next round of applications. Ada grew up on a small farmstead in rural Wisconsin where her family’s vegetable patch was surrounded by endless rows of corn and soybeans, sparking her interest in questions around food security, food sovereignty and food literacy. She completed her BA in Anthropology and Environmental Studies at Wellesley College where her honors thesis focused on food security and environmental justice on the small island of Vieques, Puerto Rico. That research took Ada back to the Caribbean where she spent two years developing an Edible Schoolyard and permaculture garden curriculum at an alternative education center for girls in the Dominican Republic. 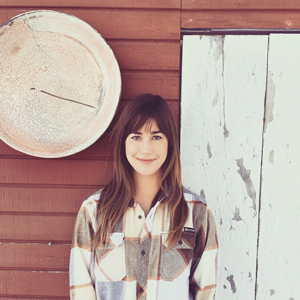 Her current research as an MA Candidate working under the supervision of Charles Menzies at the Institute for Resources, Environment and Sustainability at UBC expands upon her academic interests and real-world experiences in seeking to understand what the key components or mechanisms are needed to successfully "operationalize" food sovereignty for remote First Nations communities in BC. In July 2017, working in partnership with Gitxaala Nation, Ada began her research, seeking to understand the role of Gitxaala’s community garden project and other local food production activities in supporting food sovereignty in their community. Specifically, Ada’s role is working in collaboration with Gitxaala’s Health Services and Lach Klan School during the months of July and August to bring garden and "food literacy" activities into the summer reading program and school curriculum. Both the research process and outcome aim to support Gitxaala’s effort toward cultivating a community garden program that will provide more sustainable mode of food production for the community while offering fun learning opportunities for youth. Kim-Ly is a Masters student at the University of Victoria’s School of Environmental Studies (Coast Salish Territory). She is of Vietnamese, Scottish and Irish ancestry and was raised along the shores of the Grand River in Southwestern Ontario (Haudenosaunee Territory). She earned a Bachelor’s of Science in Biology and Environmental Studies at McGill University in 2015 (Haudenosaunee Territory). During the last two summers of her undergraduate studies, Kim-Ly was privileged to be welcomed to the Territory of the Gitga’at Nation where she studied the feeding behaviour of local humpback whale populations. Upon completing her B.Sc., she worked for the Gitga’at First Nation as a biological data analyst, working closely with the Gitga’at Guardians to study the health and abundance of traditional foods and other environmental indicators. Through her Masters project, she hopes to contribute to the well-being of a place and people who have offered her innumerable lessons. Ninety percent of Gitga’at people consume traditional seafood on a daily basis; the relationship held between Gitga’at and the ocean since time immemorial is alive and well. However, this social-ecological system is being stressed by a changing climate, resource mismanagement, industrial shipping proposals and other barriers to passing on ancestral teachings. 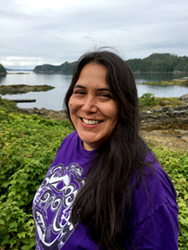 Kim-Ly’s Masters research was designed with community leaders and seeks to inform a Gitga’at-owned monitoring program to document information and knowledge produced by Gitga’at people while harvesting and preparing traditional coastal resources. In the words of Hereditary Chief Albert Clifton: “We monitor our environment by living here”. The program will inform Gitga’at marine resource management, climate change adaptation, and bolster intergenerational knowledge transfer. I am a Master’s of Science student in the Occupational and Environmental Hygiene program at UBC. I am passionate about environmental health issues and the focus for my thesis research is on characterizing the impacts of residential wood burning on air quality in British Columbian communities. I hope to continue working in this field in the future, contributing to our understanding of, and working to address environmental health issues in Canadian communities. 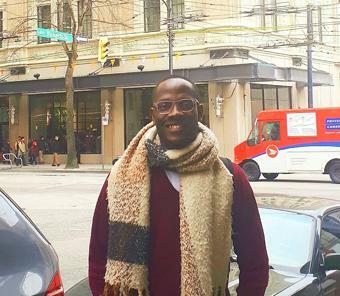 When at home in BC, I spend as much of my spare time as possible skiing or hiking and also have a passion for traveling and exploring new places and cultures. I am very grateful to have been awarded this scholarship and the opportunity it has provided me in continuing to focus on my thesis research. Wood burning is an important source of fine particulate (PM2.5) in many rural Canadian communities, however there is limited monitoring designed to characterize its impacts. In a number of BC communities where wood burning is common, PM2.5 levels currently exceed the Canadian Ambient Air Quality Standards. While believed to be a major contributor, differentiating woodsmoke’s contribution to PM2.5 is very challenging. Current assessment methods are costly and inefficient for application in rural communities; therefore, we propose to develop a new cost-effective method using innovative mobile monitoring equipment to detect the specific signature of PM2.5 from woodsmoke in order to characterize its impact on small BC communities. We will establish and assess the precision of this new method in both previously monitored and unmonitored communities, while also assessing the oxidative potential of woodsmoke to improve understanding of the chemistry and potential health impacts of woodsmoke. 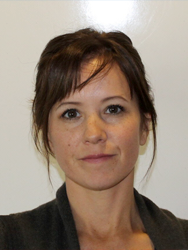 Andrea Lyall, PhD Candidate and Registered Professional Forester (RPF) has over 18 years of natural resources management experience and has worked directly with over 30 indigenous communities with their forestry initiatives in British Columbia, Washington, Alaska and Ontario. 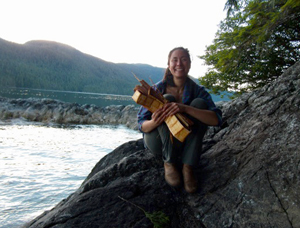 Andrea joined UBC Faculty of Forestry in 2012 as Aboriginal Initiatives Coordinator and instructs a third-year course, Aboriginal Forestry. By provincial order in council, Andrea was appointed to the Forest Practices Board of British Columbia for a third and final term in 2012. She is a member of the Kwikwasut’inuxw Haxwa’mis First Nation that is 1 of 15 Nations that make up the Kwakwa̱ka̱’wakw (translates into Kwak̓wala speaking peoples) on the midcoast of British Columbia. July 2016, Andrea began her fieldwork for a PhD dissertation that will look at an indigenous perspective of the forests and how forest governance could become more culturally relevant. Using indigenous and transformative methodologies this study will engage the Kwikwasut’inuxw Haxwa’mis citizens in participatory action research. This research will consider sustainable land use that provides for a local economy and protects traditional uses of the forests. Most of the Kwakwakwa’wakw Nation is not within the 80% of the forests to be protected in the Great Bear Rainforest. Nadleh Whut’en First Nation, Lhtseh Yoo (frog) Clan; my community is part of the larger Dakelh Nation in the Central Interior of BC. My passion and respect for salmon was initiated by my late Grandparents Ida and Frank George. I can recall from a very young age the seasonal fishing activities and the excitement that went with it. My first opportunity to work with salmon was at a local fish fence in highschool and since then I’ve worked throughout the Fraser River and Okanagan with all salmon species and life stages conducting all aspects of salmon management. As a fisheries biologist for the Secwepemc Fisheries Commission in Kamloops I have the honor of working with the Secwepemc Nation to assist them in providing stewardship for the fisheries and to assert their traditional fisheries rights within a co-management framework - this is accomplished as they are building capacity for self-government. As a mom of two very beautiful and amazing girls Olivia (6) and Kaya (4), finding time to do both work and graduate school (TRU, Kamloops) has been challenging but rewarding - I think they have trained me well at running on as little sleep as possible. I am thankful to everyone for all the support and the opportunity and, with this environmental science training, I hope to lead many more fisheries research projects to improve salmon health and management for all. Salmon habitat rehabilitation efforts often require significant resources of time and money to effectively plan and implement, resources which are frequently limited. Habitat assessment and monitoring limitations can lead to assumptions that can affect the methods, tools, and ultimately the success of our rehabilitation efforts. At a time when many salmon populations are facing poor productivity, understanding how salmon are interacting with their habitat can form a key part of the habitat assessment. Stream-type, spring-run chinook salmon (Oncorhynchus tshawytscha) in the Deadman River have been managed by fisheries managers as a conservation concern for many years. Semi-arid conditions and land used for agricultural and forestry purposes are thought to influence temperature regimes in this and other Southern Interior streams. Stream temperatures frequently approach or exceed the upper thermal limits for both adult and juvenile salmon, and are likely a limiting factor for this population. Migration to cool water refuges such as outlets of cooler creeks and groundwater seepage sites is crucial during such situations; however, these microhabitats must be abundant and available if they are to mitigate high ambient stream temperatures. Techniques to collect temperature data will include aerial thermal infrared radiation (TIR) scans and continuous water temperature monitoring. Chinook habitat use surveys will entail thermal-radio telemetry (adults).